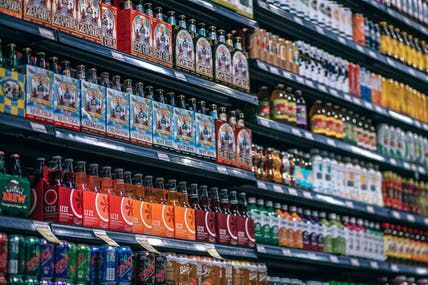 (Shanghai, China, July 21st, 2018) – Kantar Worldpanel, the global market leader in consumer panels, reports that the growth rate of the fast moving consumer goods (FMCG) accelerated during Q2 2018 vs Q1, with value growth of 4.7% in the latest 12 weeks compared to the same period last year. Modern trade (including hypermarkets, supermarkets, and convenience stores) growth was flat, but supermarkets have grown by 2.7% in the past 12 weeks. Hypermarkets have continued to experience shopper loss, with hypermarket penetration in the past 12 weeks declining by 1.3 points in the second quarter. E-commerce remains a key engine for growth in the FMCG market, growing by 36% and now represents 10.1% of total FMCG spend. Of all the regions, the West region has seen a significant uplift ahead of all other regions, with a value growth rate of 6.8%. Among the top 5 retailers, Sun Art and Vanguard Group maintained their leading positions, and Walmart and Yonghui both saw significant boost in market share in Q2 2018. After a series of transformations to rebuild its growth, Walmart improved its market share within modern trade by 0.6 points over the last year, edging closer to Vanguard despite closing 10 hypermarkets that didn’t perform well since the beginning of this year. Walmart has furthered its collaborative efforts with JD.com through integrating their online presence on the JD platform as well as Walmart’s offline supply chain. It also unveiled its first ever small format supermarket sub-brand Huixuan, featuring fresh goods, free home delivery, and internet technology to enhance shopping experience. The latest Kantar Worldpanel report confirmed improved penetration and stronger performance of Walmart group across all regions in the last 6 months. Yonghui kept its pace of shopper expansion through implementation of its aggressive store opening plan and digitalization, though its growth has started to slow down slightly. In the second quarter of 2018, Yonghui continued its expansion of the YH Super Species format, which caters to middle class shoppers in high tier cities, and YH life ,which directly serves the neighbourhood needs through its Wechat app and fast delivery capability. Yonghui is expected to face more challenges from Hema (part of Alibaba group) and 7 Fresh (part of JD group) if it cannot sustain its competitive advantage on fresh foods and selected regional dominance. Online shopping festivals like ‘618’ are now common place in the world of FMCG and this year both JD.com and Alibaba have extended the sales period with promotions starting from the beginning of June. In the latest 12 weeks ending 15th June 2018, 39% of Chinese urban household bought FMCG online. This number was 4.6 points higher than the same period in 2017. JD still leads growth in this event, with a significant uplift on new buyers in the latest 12 weeks. Its penetration reached at 7.0% in the past 12 weeks, up by 0.8 points versus the previous 12 week period to May 2018. Tmall saw slower year on year penetration growth compared to JD but Alibaba has been more focused on ‘New Retail’ integration between its online stores and offline space, such as RT-mart and other Alibaba-empowered offline stores.